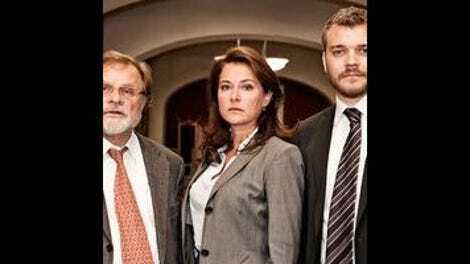 As an American, the person I keep thinking of when watching Borgen is Hillary Clinton—but not for the reasons you’d think. 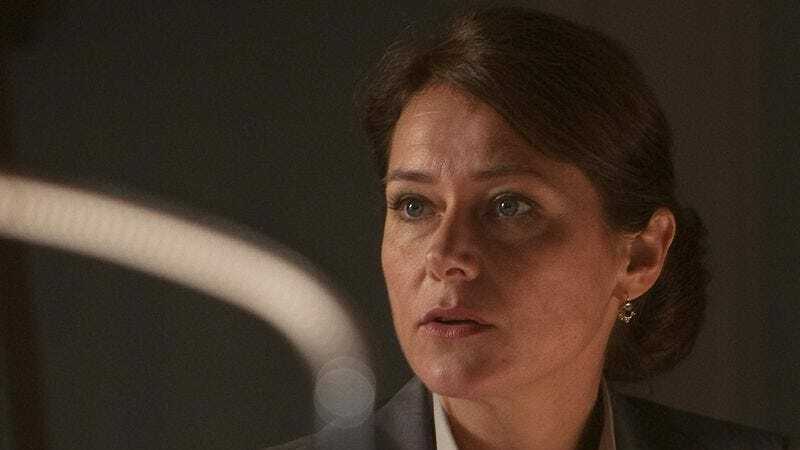 The deeper we get into the dissolution of the Nyborg-Christiansen marriage, the more I’m impressed by how the show has made it less of the “woman takes important job and her family falls apart” storyline I feared when it began and more about how difficult it is for two ambitious people to be married, have a family, and still achieve both their goals. Because Birgitte is the prime minister, Phillip simply can’t move forward with his own career ambitions. He’s in a holding pattern until her government falls apart, and no one knows when that will happen. The Birgitte-Phillip scenes have rarely been my favorites in any given episode, but I will give the show props for how subtly, slowly, and believably it built to a point where their marriage is in utter ruin, considering how supportive they were of each other back in the first episode. Which brings me back to Hillary Clinton and how this reflects the show’s subtle take on feminist ideas and themes. Clinton put her ambitions on hold for the time it took her husband to eventually attain the White House, and though she was one of the most active First Ladies in history, there’s only so much one can do with that completely unofficial office. Once her husband was finished with his eight years as president, she immediately began working toward her own political career, one that very well might end with her in the White House herself, but she had to put her own life on hold for over 20 years, while Bill Clinton made his own name. Of course, there’s still an unspoken assumption that a woman putting her own ambitions on hold to support her husband and raise their children is “normal,” one that underpins so much of many Western societies, to the degree that even our commercials accept this as the natural reality. So what Phillip is dealing with is rather different in that sense: His feelings of being trapped may have something to do with his own masculinity being challenged. (The show doesn’t really delve into this one way or the other, and I honestly don’t think Phillip seems the type, but it’s theoretically possible.) In addition, Phillip doesn’t have to deal with the sorts of misogynistic attitudes that greeted and continue to greet Hillary Clinton, nor has he really been ribbed about being Mr. Mom or something, at least from what we’ve seen. What’s similar here is that both of these people are hugely ambitious, but once one of them succeeds, the other must naturally stand back and fall into a supporting role, taking care of the kids, keeping the house clean, and making sure the trains run on time. And for Phillip, that’s become a slow-building prison, with every escape route he finds being filled in behind him almost as quickly. There are things in “Divide And Rule” that I could pick at—particularly that moment when Birgitte says in her interview that she’s so glad she can count on Phillip, since it must be so hard for him to put his ambitions on hold, at least so long as he’s married to her, and we cut to Phillip like it’s the first time he’s considered this particular escape route—but the overall experience is fairly devastating. In particular, I was blown away by how the whole episode built to that TV1 interview that had such important implications for every character on the show, then spent time letting it play out in full and cutting between those characters as they watched. It’s a fairly masterful bit of story construction, and I was impressed with how thoroughly the show managed to make it play. What’s even more interesting is how the episode divides, effectively, in two, with the first half dealing with Katrine tracking down the story about the Defense Minister’s potentially corrupt plane deal (which turns out to be completely corrupt, but in a way where Birgitte can’t really do anything about it) while Birgitte tries to deal with the fallout and stay ahead of the story. This structure worked well for the show earlier in the season, and it works well here, with the two women playing off of each other without even really noticing it. But where there was something spritely to it early in the season, it’s much different now. The strains on Birgitte’s relationships and her own sense of herself as someone with good motives are all much more apparent, and the deeper she gets, the less able she is to justify her actions to herself. So she simply puts her head down and gets through. But the episode pivots around the halfway mark—roughly after Katrine gets the scoop about the guns the minister was bribed with—and then it becomes something else entirely, as Katrine puts her career on the line to ask the questions she wants to ask and Birgitte’s marriage crumbles under the strain of all that’s happened. The last half of this episode is impressively dark, and not in the sense that, like, gritty, violent things happen but in the sense that everything people try to keep their heads above water mostly fails. The rhythms get slower, and Birgitte’s house slowly fills up with clothing strewn about, even as she’s sleeping on the couch and slowly losing it. The scene where she goes over to Phillip’s student’s room to see if her husband is sleeping with him—only to find that said student is sleeping with some guy her own age—is very nearly a masterpiece of cringe drama, the character just sliding off into the deep end of her own paranoia and hurt. And as it turns out, she has complete reason to be hurt. Phillip really was with somebody else, and when he tells her that, it shatters her. Her fists clench. He goes to reach for her. She turns violently and falls over, hitting a chair, creating a massive black eye, right when she needs to go on television the next day, to explain the Defense Minister’s scandal. This all leads to the interview scene, where every single character has something on the line and where Katrine decides to push into the private questions she was forbidden from asking. In a way, Katrine almost seems to be tossing Birgitte a life preserver. “See?” Birgitte could say, “Here is a way that I’ve had to compromise my life because of my commitment to openness and doing things a different way. Here is a way I have hurt those around me.” Instead, she offers up the boilerplate, her voice remarkably controlled. Again, someone says, “She’s good,” and again, Kasper is forced to agree, but this time, it’s so much more obvious all the hurt and pain and thwarted ambitions her performance is covering up. Her marriage is about to fall apart, and she knows it. But there’s nothing she can do but go on TV and lie again. Major differences between Danish and American politics: When the Danes buy a new defense plane, it is apparently a really big deal. We hand out defense planes to children at Halloween. There’s a big scene where Kasper talks about his father with Katrine, but it doesn’t really have anything to do with anything (aside from the fact that everybody is putting everything on the line this episode), so it gets moved down here. It was impressively acted, though! It’s really handy of Danish apartments or dorm rooms or whatever that was to put the name of the occupant on them so that Birgitte knows she’s stalking into the right student’s place. Add Borgen to the list of ambitious dramas that contrast the actions of parents with an idealistic teenage girl, considering how much more we’re seeing Laura as someone who’s not just hurt by her parents’ actions but forced to step up into a parental role herself. I don't say much about the performances in these reviews because, well, I don't speak Danish and, thus, miss some of the nuance, but the way that Sidse Babett Knudsen lets her voice almost break in that final scene when she tells her driver she won't be going home but never actually succumbs to tears is some mighty fine acting. For just a second when Katrine jokingly called Torben "Dad," I thought I had missed something very important.